This is the second part of the Hodderscape Review Project, wherein myself and a group of other bloggers will be reviewing one book per month from the wonderful personages over at Hodderscape. This month’s was awesome and triggered a mass re-read of one of my favourite authors in the entire world – The Shining by Stephen King. I have a great skill when it comes to questionable life decisions. 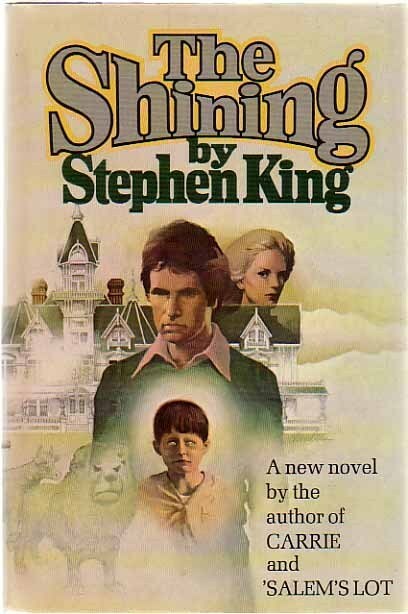 My favourite is probably the one I made when I was nine, when I discovered Stephen King’s It at a friend’s house and decided that I was so repulsed by the fate of Georgie in the opening pages that I clearly had to read this book in its entirety. If you doubt my commitment to clownian motion, there’s footage somewhere of me hiding under a table from a birthday party*, completely engrossed in It, accompanied only by a wilting slice of chocolate cake. Twenty years changes nothing. Give me a Stephen King book and I’m lost to the world. 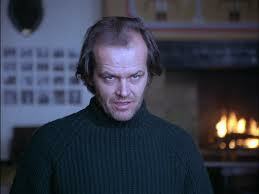 I’m not going to mess about: I loved The Shining, I still love The Shining, and I love the movie too. I don’t need to talk about the movie; others have discussed it vs the book better than I ever could. This is a film I discovered thanks to a particular scene in Twister, by the way. Yes. There is one thing we can thank Twister for, and for a change it’s not Philip Seymour Hoffman. But the book, you guys. It’s about as haunted as a book can be. It’s haunted by the author, the film, the director, and the huge impact it had on popular culture. You can’t help but feel the echoes from every reference you’ve seen, read or heard vibrate through it to the point where you’re not quite sure you’re reading alone. Every re-read you discover something familiar but unsettling, like those times you’re caught between two mirrors and you can see your reflection repeating off into infinity. It’s so, so weird. And oh my god so satisfying. The first time I read the book I was reading as a horror fan, lapping up the oppressive atmosphere and the hints at the twisted, sordid past of the hotel. This time it’s as a King fan, enjoying how he builds each character up and whittles away at them, exposing fault lines at the same time as exposing them to the dread forces of the Overlook which infect and affect each of them differently. Danny would be an annoying, precocious little kid in another writer’s hands, but thanks to King’s skill with pacing and details, he isn’t; his own father turns on him, he faces the horror in Room 217, encounters terrifying topiary animals, and little psychic Danny is sympathetic throughout. His fear is goddamn contagious because we’ve all been a frightened child, only he’s actually got extreme dark stuff in front of him that few people face – even if you dismiss the supernatural elements, Jack Torrance’s insanity is scary enough. I can’t wait to read the sequel and see how King handles Danny’s problems in adulthood. Cannot wait. It was a nice surprise to remember that Wendy is so much more of a person in the book than the Wendy of the film (there’s some agreement on this issue) – it lends more of a feeling of the family as a cohesive unit being destroyed than of one man’s descent into supernatural insanity. It’s the single aspect where I feel the book is stronger than the film: the tension over Jack’s madness in the book is fuller, more rounded, where in the film you always know he’s going to crack because Jack Nicholson has villain eyebrows. He totally does. But in the book, King makes everything feel close and real and warm, and Kubrick’s film about terrifying but only slightly supernatural madness feels weirdly distant from a book about dark forces in a claustrophobic space acting on a small and fragile family. The emotional core is strong enough to amplify the fear of everything from the big, dramatic events to the smaller moments that other writers would have ignored (or, say, overlooked. Heh.). It’s a perfect example of the genius of King; a simple moment when the family hears an empty elevator on the move had me put the book down so I could go downstairs for a cup of tea and a break from the oppressive Overlook atmosphere. And who the hell else can make topiary that scary?! 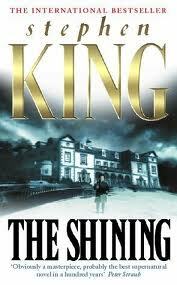 The Shining isn’t my favourite Stephen King, but it doesn’t need to be. It’s Breaking Bad, The Godfather, The Hobbit, Super Mario. The thing that everyone will assume you’re familiar with, the cultural touchstone, the haunted house horror. Even for people who don’t like horror there’s a family story at the heart of this, a dark and brilliant psychological side, which any fiction reader can savour. It’s out this Thursday and has a picture of a cat on it. The internet will love it. *Someone else’s. And, brilliantly, I managed to slip away while they played It. 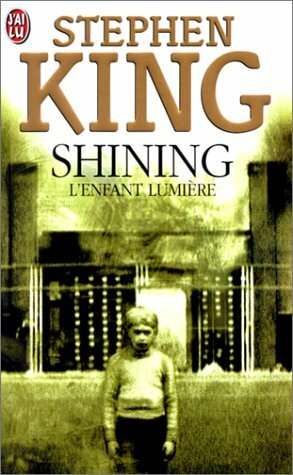 This entry was posted in Book Reviews, hodderscape and tagged hodderscape, hodderscape review project, horror, Shining, Stephen King on 23/09/2013 by ewasr.